Josephine Okwechime; M.D; M.P.H. (Masters in Public Health). Dr. Josephine Okwechime is an experienced board certified dermatologist with specialized training in skin and skin related surgeries, esthetic procedures and such as Dysport(similar to Botox), dermal fillers, laser surgery, etc. She has been board certified and practiced in Internal Medicine for over 15 years before returning to do another residency in dermatology. This unique training gives her an edge in recognizing and managing skin problems that have arisen from internal things going on in the body. She manages disorders of the skin, hair, and nails. She treats patients of all ages and ethnic backgrounds and has special interest in skin cancer, skin disorders arising from systemic diseases as well as eczematous conditions like atopic dermatitis, Allergic rashes, etc. 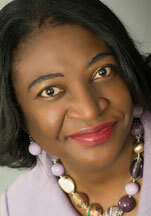 Dr. Okwechime has practiced in Logansport area for the last four years, and moved to Kokomo in 2012. Dr. Josephine Okwechime completed her Internal Medicine Residency at the joint University of Illinois/Cook County Hospital Internal Medicine/Occupational Medicine Program; and completed her dermatology residency at the prestigious University of Ottawa, Ottawa Ontario, Canada program; where she was chief resident in dermatology in her senior year. She is a diplomat of the American board of Dermatology, American Board of Internal Medicine(does not practice Internal Medicine anymore), member of the American Medical Association, and Indiana State Medical Association. She has published articles and delivered numerous presentations in her field. The Medical Assistants are trained to help answer your questions and concerns, assist in surgery, and carry out patient education and care. Our aesthetician performs chemical peels, facials, etc. We are available to answer questions concerning skin care and products for skin care. Our receptionist is available to answer any questions relating to insurance, payments, and appointments in a respectful, kind, and pleasant manner.